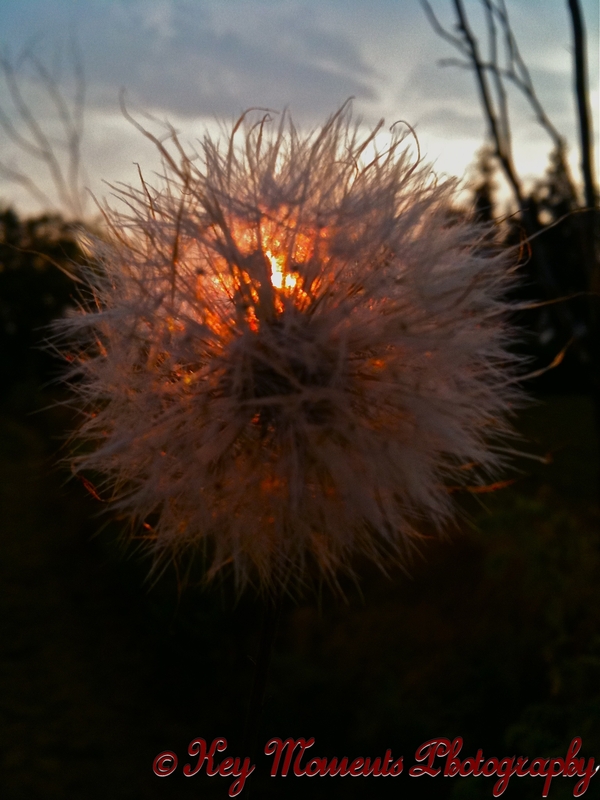 The other day I was out for my walk, and this idea came to me about taking a photo of a dandelion against the backdrop of the sunset. I have been having fun with my photography this year as I learn more and more about it. So the idea of something fun and different appealed to me. But as I looked at this photo, I started to think about its feathering spores. They looked so intricate and intertwined. I felt as though God asked me if my life looked like that. What have you gotten enmeshed in? What has you all tangled up? Humm…that is a BIG question for all of us I think. We tend you get ourselves so busy so we look successful or important, and yet inside, our hearts cry out for some peace, calm, harmony and quiet time. I am learning to enjoy my days and moments as they come this year more than ever. It has been a journey I have found challenging and exhilarating! I know as a child, it was fun to pull off the dandelions and blow on them and see those feathery spores fly out with the wind. Some of us enjoyed it enough that we blew until there were no dandelions left. So, is this how we approach change in our lives? The change that will give us the peace and calm that we secretly desire? Are we just floating around the idea of having more time for what’s important? I don’t think that is what any of us wants. But it takes discipline to make change and say no to a project or idea even if it’s a good one in order that we might have more time. It has to be me who says I won’t do that anymore in order to have some quiet moments for myself to reflect. I don’t want to be like the feathery dandelions that float out into the “where ever”. I want to be strong and stand where God has placed me and be balanced enough to have my life be about the things and people who are important to me. Even good things can pull us away from what is important to our daily lives. But there is an exciting part for me about the visual of the dandelion also. What if we think about the good acts we can do in a day as something that goes out as blessings just like the feathery dandelion? It doesn’t just touch one person or situation. It is likely that it touches many as your kindness plays out in the lives of where it lands. We all know how those dandelions populate themselves all over our yards. But now, you can have a different perspective or visual of what that can mean in your lives. Isn’t that an exciting picture? I love it! I won’t look at a dandelion quite the same way anymore. 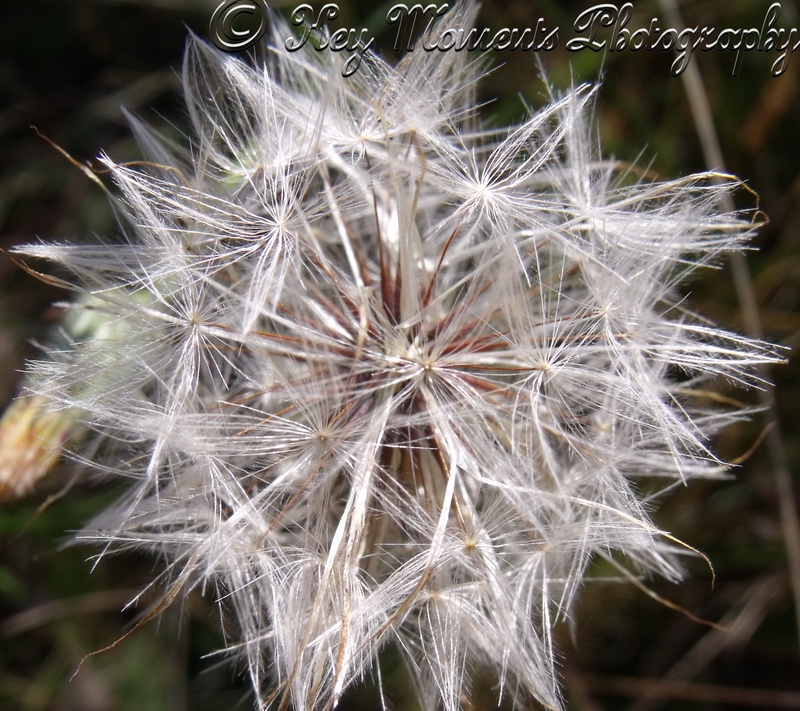 So as one dandelion blower to another, let’s unite! Be about making time for quiet and listening; something that is scheduled into your day. God can do some amazing things as we listen to Him. Where might His Wind be taking you next? Previous postWho Are We Really? Next postWhat Is It About Ocean Air And God’s Lessons?